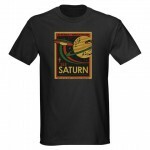 Click here to enter my contest to win a free copy of THE SPIRAL PATH and a nifty retro Saturn science fiction tshirt. 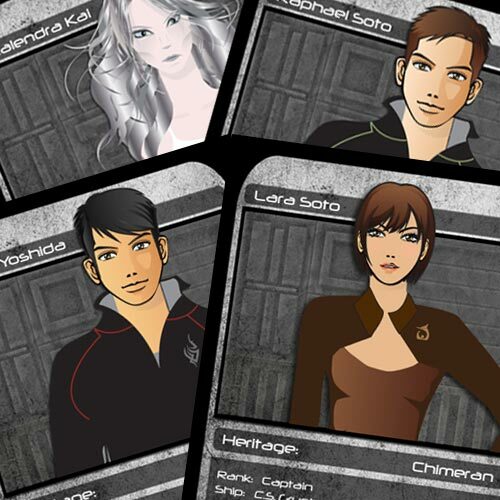 All who enter receive a free door-prize of electronic character trading cards from the four main characters in the story: Lara Soto, Mitch Yoshida, Raphael Soto, and Calendra Kai. Above is a preview of the cards, personally drawn by yours truly. I will randomly choose and announce the winner on Sunday, April 3.